/ Is Your Mattress the Problem? What’s inside a mattress can be as harmful to your body as how badly it feels. 1. Do you have back pain when you wake up? 2. Neck pain? Stiffness or soreness? 3. Does it take you more than 30 minutes to fall asleep? 4. Do you experience restless sleep? Toss and turn at night? If you answered “yes” two times or more, this may be the most important article you read all year. While you sleep, your immune system recovers and prepares for the day ahead. It replenishes every cell in your body. Low-quality, uncomfortable mattresses have been linked to discomfort and pain, which can prevent quality sleep. People who struggle with sleep deprivation may suffer from irritability, depression, over-eating — even face a higher risk for Alzheimer’s. If your mattress is filled with chemical toxins, airborne allergens, or worse … your body is doing battle with those things rather than repairing itself. You’re losing valuable energy each night instead of healing your body and revitalizing your mind. And all of that can wreak havoc on your health and well-being. The following information may be disturbing to some. That’s because, the Environmental Protection Agency has identified at least 4 possibly dangerous chemicals commonly found in some synthetic mattresses — benzene, propane, naphthalene, and styrene — especially bedding made in China and overseas, where such governing agencies do not exist. 2) Laboratory researchers in the U.S. and Europe have identified up to 61 potentially harmful chemicals that off-gas from typical synthetic mattresses. 3) Exposure to these 61 chemicals has been associated with irritation of the skin, eyes, and digestive systems. 4) Additionally, the chemicals off-gassed by synthetic mattresses have been associated with headache, fatigue, depression, and even hearing loss. 5) Your skin, the most porous entry point into your body, has contact with a mattress for 8 hours every night, on average. 6) Children, who breathe faster than adults, are especially vulnerable to chemical exposure. Every night, we lay down with minimal clothing for a seemingly good night’s sleep. But in reality, while lying on a conventional mattress, we are breathing in and absorbing through our skin a range of chemicals from synthetic materials — chemicals that can disrupt our sleep cycles and negatively impact our health. Our mattresses emit gases from a toxic brew of components used to create them. From the polyurethane foam used in the padding to fire retardants and other additives, conventional mattresses continue to release chemicals in gaseous form long after they roll out of the factory. Even after they have finished off-gassing, the chemically based construction of a conventional mattress provides an ideal environment for dust and dust mites, whose excrement is the #1 trigger for asthma attacks. And get this. You know those white labels on a mattress that say, “Do Not Remove”? Incredibly, the law actually allows manufacturers to include potentially hazardous chemicals in your mattress without disclosing the fact on any label. But if a true list of ingredients were available for conventional mattresses, it would likely include TDI (a common component), a known carcinogen, which can cause respiratory ailments such as bronchitis and asthma. In addition, liver damage and breathing problems have been linked to vinyl chloride monomers, another common mattress material. The list goes on. Unfortunately, it is highly unlikely that you would be given information about any of these chemicals from a manufacturer of conventional, synthetic mattresses. One of the most significant actions we can take to reduce our exposure to toxins and improve our overall health is to make changes to the one household item that is in direct contact with our bodies for one third of our lives — our mattresses. 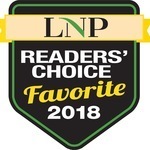 “There are more ways than ever to sleep better and wake up pain free on a natural, organic mattress,” says Ben McClure, President of Gardner’s Mattress & More, in Lancaster, PA.
“Many people, like me, are in search of a natural sleep system. I was shocked to learn that toxic emissions from mattresses are a major source of daily pollution in our lives,” says McClure. An all-natural, organic mattress is free of potentially harmful chemicals. Instead, natural materials like latex are used. Latex is naturally hypoallergenic and dust mite resistant, making it ideal for allergy sufferers. Also, latex is antimicrobial, inhibiting the growth of bacteria, mold and mildew, which can cause asthma and respiratory distress. No synthetic materials are added to provide these benefits. “All latex used in our natural mattresses is from the sap of a rubber tree, which can yield latex for up to 30 years. 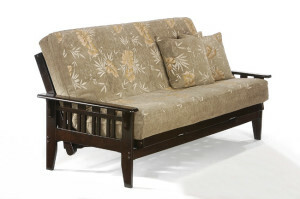 When a tree is done producing latex, it is taken down and turned into furniture. A new tree is then planted in its place, thus making latex a sustainable bedding component,” says McClure. What’s the difference between an organic mattress and a conventional one? “Organic mattresses are crafted from natural materials. Conventional mattresses are made mostly of artificial materials from nonrenewable sources, such as plastic and other petrochemicals,” says McClure. 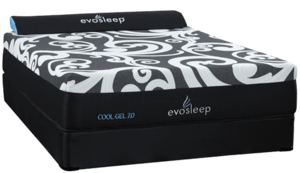 Do organic mattresses come in different firmness? “Yes, there are two main types of organic mattresses: Natural latex rubber and inner-spring. 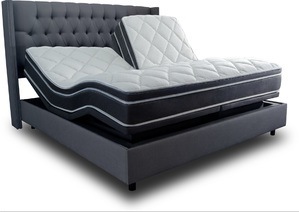 Both styles are available with varying firmness options to suit anyone’s sleep needs,” says McClure. 1. Visit a store that carries the top certified natural and organic brands, including Savvy Rest, Prana Sleep, Pure Latex Bliss, and Vi-Spring. “Each of these manufacturers crafts bedding that is safe and sustainable,” says McClure. 2. Try out a new mattress for at least 15 minutes. Lie down in various positions, to simulate a night of sleep. And look for a store to offer you a clean pillow to test out. “We offer the only Dream Room where you can spend 15 minutes to 4 hours resting or even sleeping on a mattress. With 100% sanitary linens, blankets, and pillows so people can truly ‘test drive” any natural bedding,” says McClure. 3. Protect yourself by insisting on a strong guarantee. “I know people are tired of sleeping on a worn-out, chemically laden mattress. That’s why we give every customer 365 nights to sleep on it and return it for a refund it doesn’t deliver the sleep you want,” says McClure. If you’re not sleeping well or you’re worried about toxic chemicals in your bedroom, consider this: The two things in life you spend the most time on are work and sleep. How much of your remaining hours on earth do you want to waste, losing sleep on an uncomfortable, chemically laden mattress? That’s a question that many are asking. FREE Gift #1: All-Natural Latex Pillow ($40 value). You get this just for visiting the store. There’s no obligation to buy anything. Here’s why this is important: A good pillow is essential to your health, because it can gently support you in a healthy sleep position while providing comfort to your neck and shoulders. pillows. 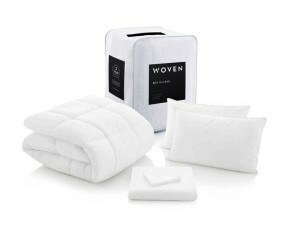 The All-Natural Latex Pillow, reserved and waiting for you, is filled with soft, 100% natural latex. 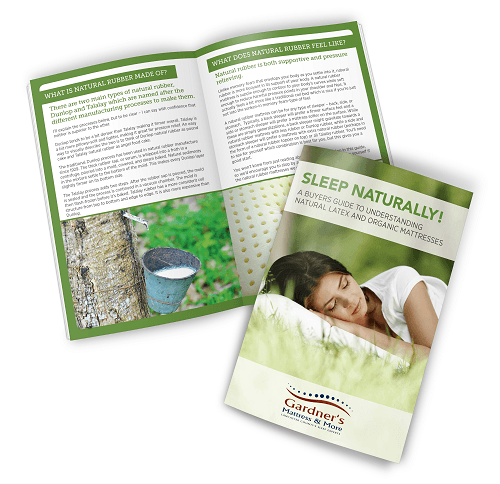 FREE Gift #2: Natural Latex Mattress Guide ($9.95 value). Inside you’ll discover little-known facts about how men and women are sleeping better on Natural and Organic Latex Mattresses … waking up energized and more productive … and why ignoring problems with your current mattress can lead to depression, permanent health problems, and even damage family relationships. FREE Gift #3: $200.00 Savings Voucher, good toward the purchase of any Natural Organic Mattress in our store. This special $200.00 discount is not available to the general public. It’s only for you, as a reader of Natural Awakenings. Print this blog post and bring it to the store at 830 Plaza Blvd. in Lancaster (behind Park City Mall, next to Van Scoy Jewelers). There’s no obligation to buy anything — just visit to explore your options! Freelance writer Kevin Donlin is based in Minneapolis.